Cruises have a bad reputation among avid travelers. 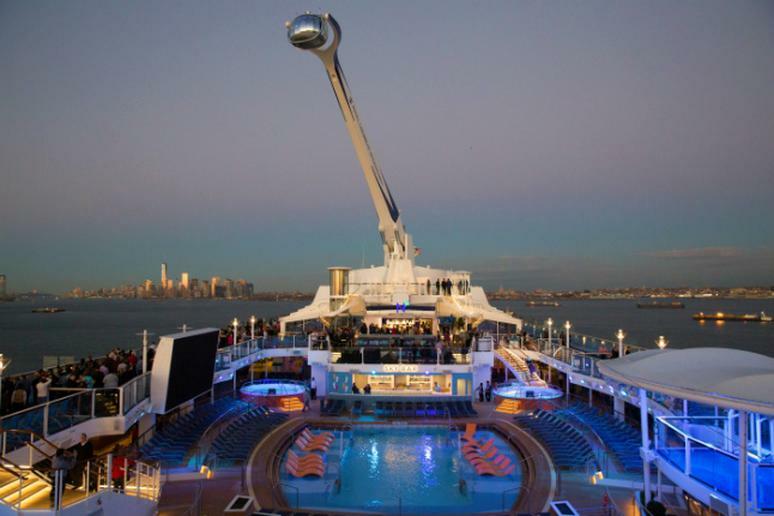 It’s believed that cruises are for people who don’t want to plan trips—those who would rather sit by the pool or sample the buffet rather than step out of their comfort zone. If you haven’t boarded a ship or checked on the industry in a while that might have been true then, but it certainly isn’t the case anymore. Today cruise ships have the ability to sail people to their destinations more quickly, allowing more time for exploring beyond the confines of the ship. They are also expanding the number and diversity of destinations, affording travelers more options than ever before. But the most dramatic change of all has taken place on the ship itself. Cruise ships were once a series of dining options pared with sunning spots, a pool or two and cramped galley rooms have now transformed into the ultimate vacation hot spots, bundling anything and everything a traveler could imagine wanting—all within walking distance. Luxury shopping, top-notch entertainment and on board adventure are now part of the package on major ships. Long gone are the old days of cruising—you won’t believe the new adventures you’ll find on board. 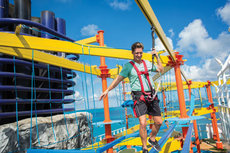 You might think skydiving requires a plane, parachute and a nice patch of earth to land on—but the crew at Royal Caribbean has made those extras obsolete. The new Quantum of the Seas ship, which has recently taken its first voyage, features a simulated skydiving experience that will blow you away. RipCord by iFly brings the sensation of skydiving out to sea for the first time ever using a giant wind tunnel and a professional instructor. Take your turn in the wind tunnel overlooking the ocean at the back of the ship and see what it feels like to fly. En garde! There’s no better time to learn the basics of fencing than at sea—take lessons on board Cunard’s Queen Victoria. Whether you’re an expert looking to improve or completely new to the sport, the Cunard crew is there to teach. Join the class, become a pro and never again worry about pirate attacks.